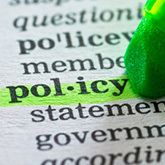 The Academic Secretariat provides policy advice and professional services regarding the University's academic governance, legislative and policy development systems, and curriculum management. Through both its management and administrative role, and the provision of advisory, consultative and executive services to key committees, the Academic Secretariat contributes significantly to the process through which the major academic structural and policy decisions determining the directions and future shape and activities of the University are made. Develop, review and continuously improve the University’s academic legislation, policies and procedures. Provide policy analysis and advice to members of the Executive and other senior staff of the University. Manage the process of curriculum approval and change. Provide professional support and advice to the University's major committees, including the Academic Board, Academic Council, Education Committee, Curriculum Committee and a number of other key decision-making committees. Manage and coordinate academic decision-making structures and processes to ensure an effective interface between executive, faculty and the central committee decision-making processes. Contribute to policy and strategy, as well as oversee and implement initiatives, that improve the student learning experience. Design, develop, evaluate and advise on policies, processes and schemes that support the University's priorities within its Strategic and Operational Plans. Contribute to the leadership and administration of education related activities, including policy development and management of the University's curriculum for cycle 1 and cycle 2 coursework courses, at the central level.